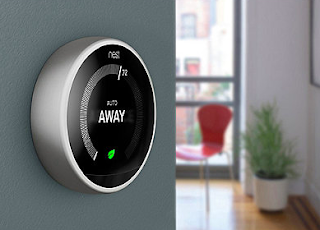 The Black Friday deals at Amazon include a Nest thermostat for $199 - 40% off the regular price. We've had a Nest for three years and wouldn't know what to do without one. I can program and reset temps from the web or with the Nest app. And it knows to turn down the temp when no one is home. The Nest doesn't integrate with Apple's Home system, but it does work with Amazon's Echo controller. This winter I'll be telling Alexa to turn up the heat.